Now available with version 17.0! 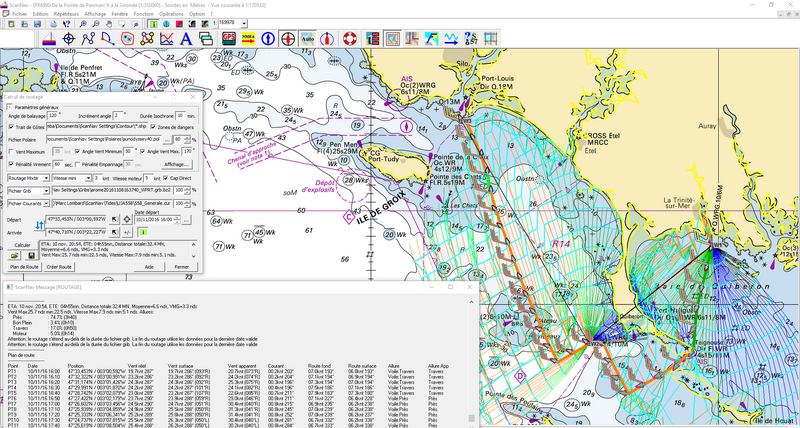 The new ScanNav Routing module is available in ScanNav since version 17.0. Possibility to take the engine into account (sail only, mixed sail and engine, or engine only). The routing module also includes a Polar module which, in addition to the polar management aspect for the routing, allows to visualize the performances in a dedicated repeater, in real time with respect to the theoretical polars. The Display shows where the real-time performance is. On the graph, the red triangle is the boat. 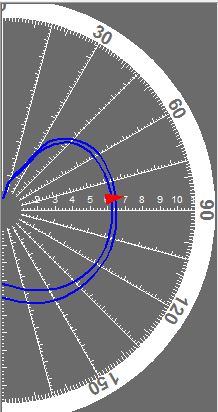 Theoretical performances are the blue curves (the 2 curves being those defined in the polar file, with the wind immediately lower and higher than the actual instantaneous wind of the anemometer).